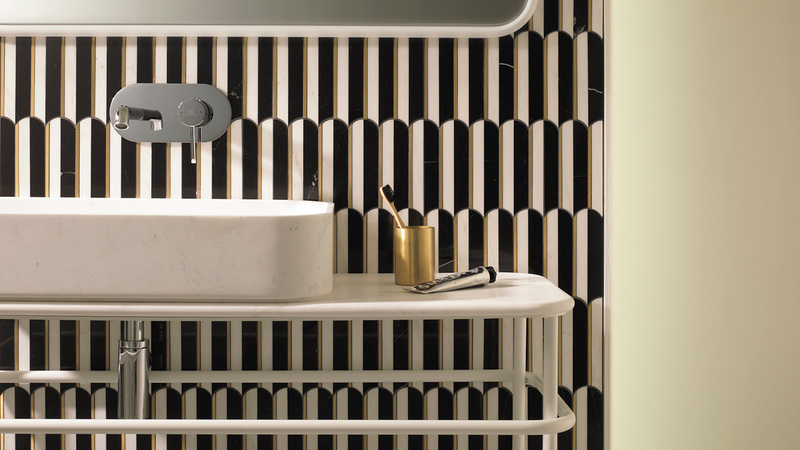 PORCELANOSA Group products are the key elements once again. 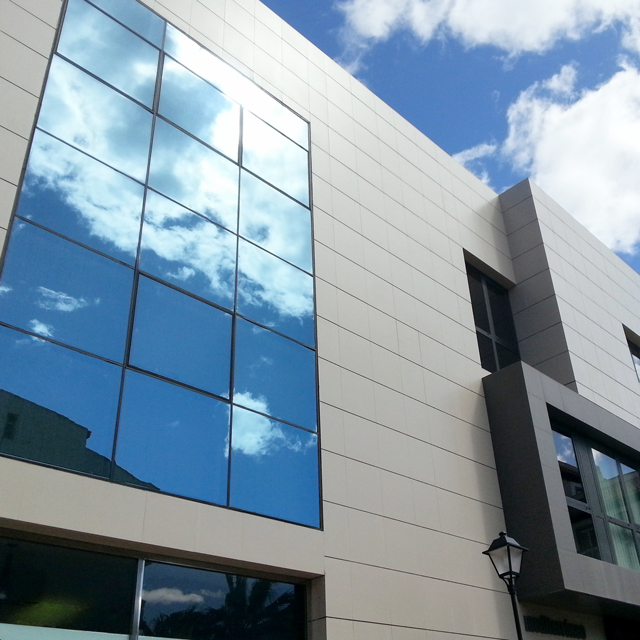 On this occasion they have been used to dress the recently inaugurated Mediterráneo building, located in Huércal-Overa, Almería. This building is designed by an architects’ studio headed by Luis Cano Rodríguez and promoted by the company Prodisa. The building features apartments, offices and commercial establishments on its lower levels. Its design was given a modern touch on all four of its sides. 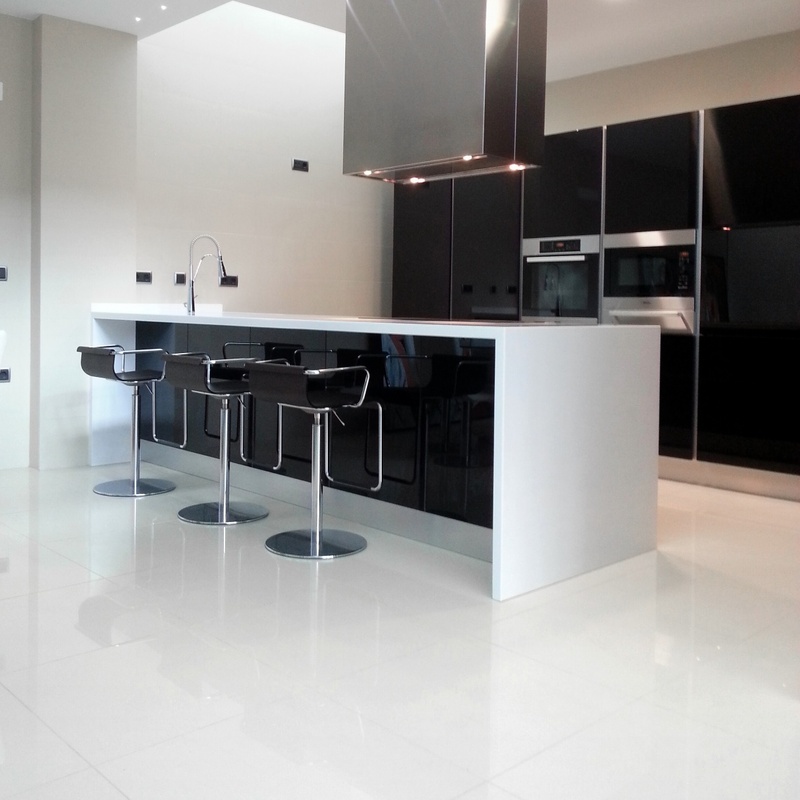 Both the interior and characteristic façade used quality and design materials by PORCELANOSA Group, carefully selected to give this project elegance and class. 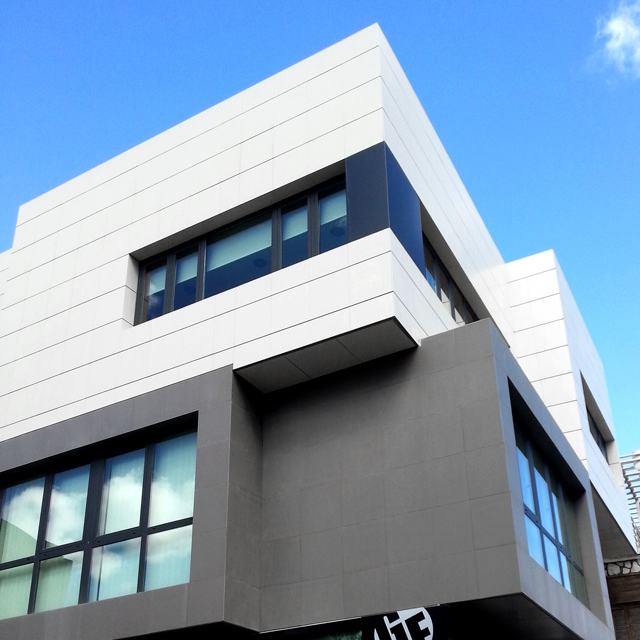 An example of this work is the eye-catching façade covered with 60x30cm thorough body porcelain stoneware by Urbatek. A combination of neutral colours was used on the building made up of three tile-clad cubes, guaranteeing the exclusive and simply eye-catching volumetric design. This effect was achieved by using City Cube porcelain with the Nature finish by Urbatek on the bonded façade of this architectural project. City Cube was also used on the inside of the building, in the bathrooms and toilets, although a polished finish was chosen to provide more light in the space. The Mediterráneo building is already a symbol of quality and elegance thanks to the careful selection and detail of the exclusive products.